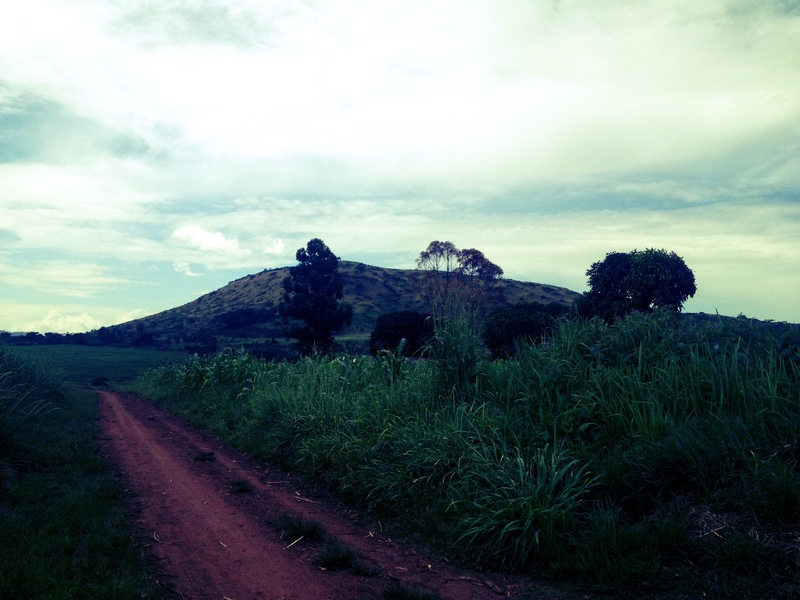 The Budongo Forest Landscape: Diets, Food Security and Nutrition – One Billion Hungry: Can We Feed the World? In the Budongo Forest landscape, individuals and communities were asked about their ability to access and produce enough food. Many people reported that due to decreasing soil fertility, land exhaustion, high food prices and unpredictable or extreme weather such as droughts and floods, they were not able to produce enough food for their families year round. Many families (just under 50% of the 540 households interviewed) shared that they had experienced food shortages in the last year, with 3 to 6 months being the most common length of time such food scarcity occurred for. During these times coping mechanisms, apart from eating less, included turning to a neighbour or family member for help or trying to obtain a job on someone else’s land as a labourer. Income earned off the farm is then used to buy food or rent land to produce more food. In terms of nutrition, participants were asked to discuss the types of foods eaten within a typical week. Many reported that their consumption consisted of sweet potato and tea for breakfast with beans and vegetables for lunch and dinner as well as regular portions of fresh maize with occasional meals of posho (a maize meal) and matooke (banana). Fruit such as jack fruit, mango, guava and papaya are eaten depending on accessibility and when they come into season. Beef, chicken and fish were occasionally eaten, seen as foods of the wealthier and even then eaten only a couple of times a week. Although many households kept such animals as goats, pigs and chickens they were mainly sold to cover school fees rather than eaten. Sugarcane, grown at home or taken from nearby fields, is also regularly consumed. Fruits and vegetables from the forest are only consumed by those living close to Budongo Forest Reserve. Indeed for the majority of households, the loss of natural forests outside of Budongo meant they could no longer collect forest fruits and vegetables or collect building poles, ropes or firewood. Of course land use change is not the only driver of food insecurity. Yields are generally low due to over cultivation, poor farming practices, pest outbreaks and limited access to extension, seeds and fertilizers. Some households reported all of their pigs or chickens having died due to a disease outbreak. Most worrying was that many households also felt they were powerless to change the situation, to increase yields or to find help in doing so, in particular poorer families. While some people reported having enough to eat, for many the variety of foods consumed is limited, a far more widespread problem. For wealthier families the number of foods consumed in a week increased for several reasons. Firstly they generally had more land and thus could plant more types of crops. Secondly, they were able to buy food, and in particular, buy meat. And also because they could take more risks, experimenting with new crops for both food and income, for example tomatoes, avocados and sunflower. Those with greater incomes and more land were also more able to take action against declining yields, purchasing manure or fertilizer, pesticides and livestock treatments. Of course talking about food security and diets is not always easy and, for a variety of reasons, people may be reluctant to discuss the reality of their situation. Overall communities were vocal about how government and Kinyara Sugar Works Ltd changes to the landscape were impacting their ability to produce food but the links between agricultural productivity and food security are not always straight forward. Do people who are able to buy food eat a more nutritious diet, do those who attain higher yields eat more or a greater variety of foods, and are better diets a product of greater wealth, of more land, of better education? Hopefully these questions can be explored throughout the research but one thing is clear, poverty limits options in terms of buying or producing enough food. And where poverty is linked with land, particularly the amount of land you own and the form and security of land tenure you own it under, land use change can improve or worsen a household’s ability to produce and access enough food. While measurement may not be accurate, it is clear from individual and community perspectives that food insecurity, declining yields and land use change are both significant issues in the landscape as well as connected. Trying to understand these connections is a challenge but one that I hope to tackle. Stay tuned for future posts and please share your experiences of measuring and analysing food insecurity.